Home » Association News » Accord is looking for someone to shower with love and affection! Accord is looking for someone to shower with love and affection! 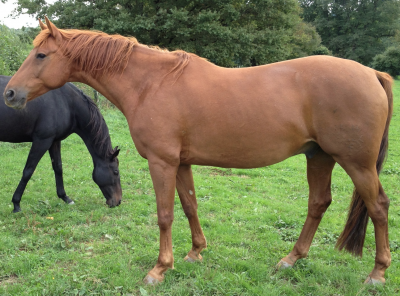 We have up for loan Accord, a lovely chestnut gelding who is 11 this year. He’s by Neptune D’Alary (AA) out of the German mare Ariane (Trakehner). He is fully papered in France. Unfortunately the circumstances of Accord’s current guardians have changed suddenly and dramatically and they had to give up all the horses they had from us. It’s been very emotional for all concerned, and they are devastated at this being their only solution. 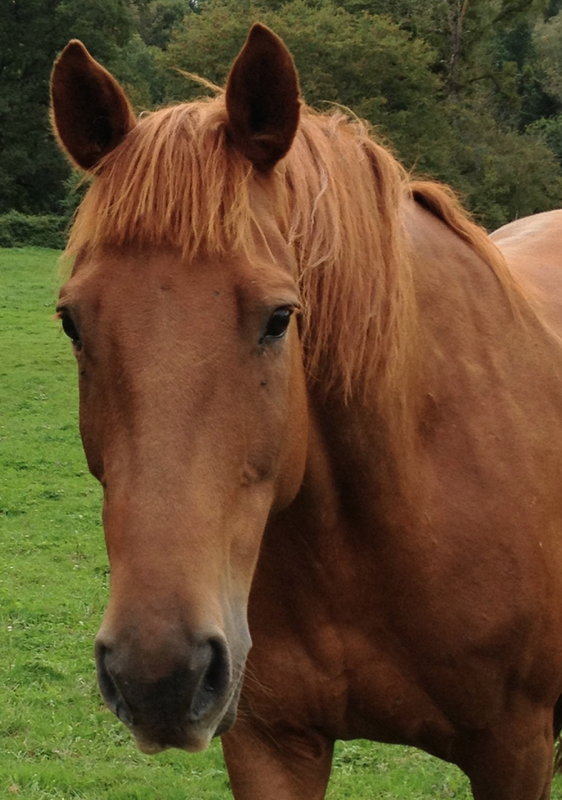 Accord is a lovely sweet boy, chestnut with a huge trot, and as ever, a history! He apparently had a back problem from an injury as yearling/2yo young horse which is why he was given to ERF. More recently, we tried to trace the veterinary history however there was clearly confusion in the stories, so as ever we work with the horse in front of us, not hearsay. We don’t know if he is rideable or not, as in how much he has done, he seems physically capable. If he’s not snapped up quickly as a companion we will do a little bit of work with him to see how he is, but if he is to be ridden, he will likely be very green. On the plus side, he’s a beautifully bred horse, so if rideable will be a dream horse to have. Accord has been very well looked after his records for worming vaccinations farrier and teeth are up to date. He is currently unshod, but could easily be shod if ridden. Accord will go out under contract, for a fee, and any homes will be checked in advance, and transportation from 24270 area will be the responsibility of the new guardian. If you are interested in this stunning sweet lad, please contact erfwelfare@gmail.com or telephone 0553629748.